St George’s Cathedral resounded with a dark music on Friday night. 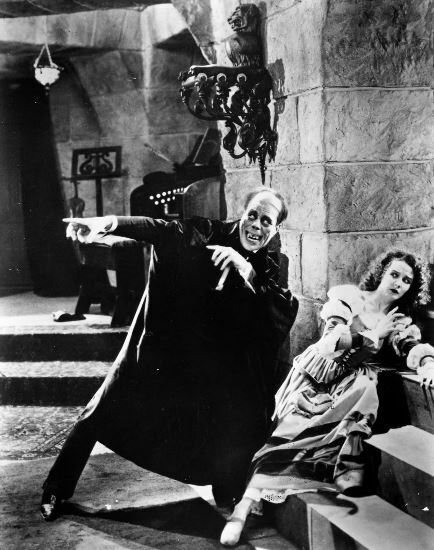 The cathedral’s pipe organ provided the live sound track to the 1925 silent horror film The Phantom of the Opera. 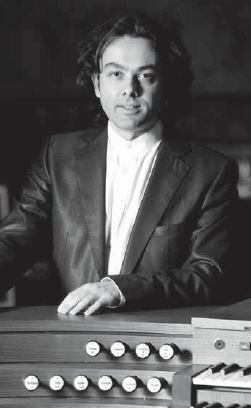 The novel concert idea was the brainchild of cathedral organist Joseph Nolan, who has seen similar screenings in the UK. The classic movie (actually the 1929 re-released version was used) with its melodramatic stock gestures and blurred footage was projected on a screen and accompanied by guest Italian organist Giampaolo di Rosa who improvised the entire film score. The film is an adaptation of the same Gaston Leroux novel which inspired the Andrew Lloyd Webber musical. A phantom manipulates events at the Paris Opera to turn the woman he loves into a star. Christine is wooed to his dungeon lair but eventually escapes with her lover Raoul. The quintessential gothic cinematography included a massive opera house chandelier which crashed into the audience, an underground lake and torture chambers. Large-scale crowd scenes – including hundreds of ballerinas and a masked ball – showed the groundbreaking scope of the original movie. 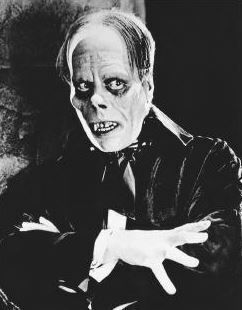 The famous unmasking scene was still horrifying even in this post-digital era; the Phantom’s fangs, pinned back nostrils and black-ringed eyes were ghastly. The organ soundtrack was a theatrical triumph. From the tense minor chords in the opening credits to the ear-tingling assault of the coda, Di Rosa delivered a 100 minute tour de force. His improvising was well-paced with events onscreen and his use of pedal notes, chords and scurrying passagework was dramatically convincing. He occasionally painted musical pictures: a descending scale when the clown fell through a trapdoor and swelling cluster chords as the opera house lights mysteriously flickered on and off. But the majority of the improvising was esoteric and atonal, lending a gritty expressionist edge to the vintage film. The concert was sold out a month in advance showing Perth’s appetite for this kind of value-added concert. Another success for Nolan and the cathedral team, who will conclude their concert series in December with Mozart’s Mass in C minor and Requiem. This review copyright The West Australian newspaper 2013.